1/ Data source is the Fiscal Management Information System (FMIS) of the Federal Highway Administration. Major widening is now included in Reconstruction-added capacity. 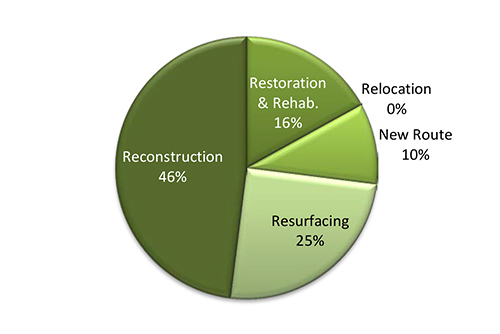 Minor widening is now included in Reconstruction- no added capacity. 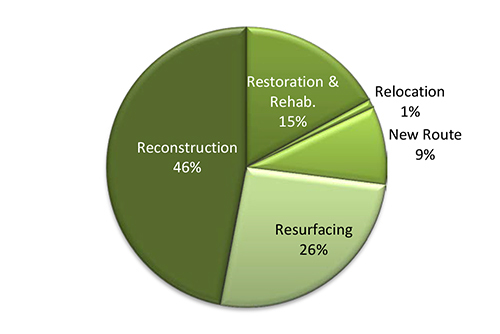 Reconstruction in these piecharts includes both major widening or minor widening.